Whenever we look for a desktop computer, we don’t really give monitors much priority and attention. Monitors are just as important as any other hardware. There is a huge selection of these out there and it’s easy to get lost in the choices. It is the part of your computer that you are going to look at all day so somehow it deserves a little thought after all. Picking the right one is quite a challenge so here’s a guide for you. Are you planning to upgrade your computer desktop? 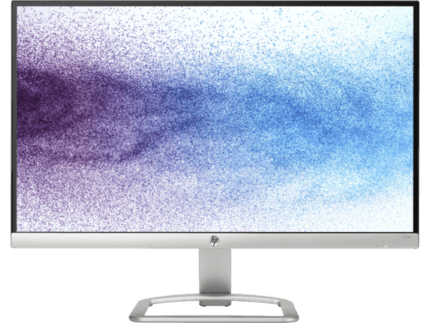 This review of the HP 22er LED backlit monitor discusses several features on why it makes an ideal monitor for your viewing and gaming needs. It has a quick response time and makes multitasking convenient with its 21.5-inch display. It also boasts of a tilt feature that you can adjust to suit your viewing preferences. It is an IPS monitor with Technicolor Color Certification that ensures color accuracy all the time. This technology allows higher shades between white and black for more accuracy when reproducing colors. Images that are displayed have extreme differences between dark and light.It has an impressive 5,000,000:1 contrast ratio and a response rate of 7ms which prevents streaking, ghosting or blurring of action sequences in movies and video games. It delivers crystal-clear images in a flat-panel widescreen. The colors remain vivid and the clarity of the image is maintained from any position despite tilting. It still gives off a crisp and detailed image that has an unforgettable quality.It is also incorporated with an anti-glare system with a brightness of 250 nits (250 cd/m² brightness). 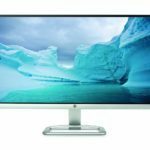 The HP 22er PC monitor is designed for minimal energy use. It is ENERGY STAR Certified which means it only consumes 20 – 30% less energy that is a federal standard requirement. It strictly follows guidelines set on energy efficiency by EPA and the Department of Energy of USA as well. This has a vibrant and crisp view that’s easy on the eyes. Its 178° vertical and horizontal viewing angles also offer a panoramic view. The view is easily adjustable just by tilting it forward (-5 degrees) and backward (+25 degrees). It is quite an excellent monitor for such an affordable price. There are no tools or screws required to set it up. If you happen you happen to be a student who is on a tight budget, this would be a good one to purchase. The additional screen size is perfect for simultaneously viewing full documents and writing down on a notepad on the side. It is also a decent screen for watching Netflix or Youtube. Aside from work related purposes, this may also be used for casual and average gaming. 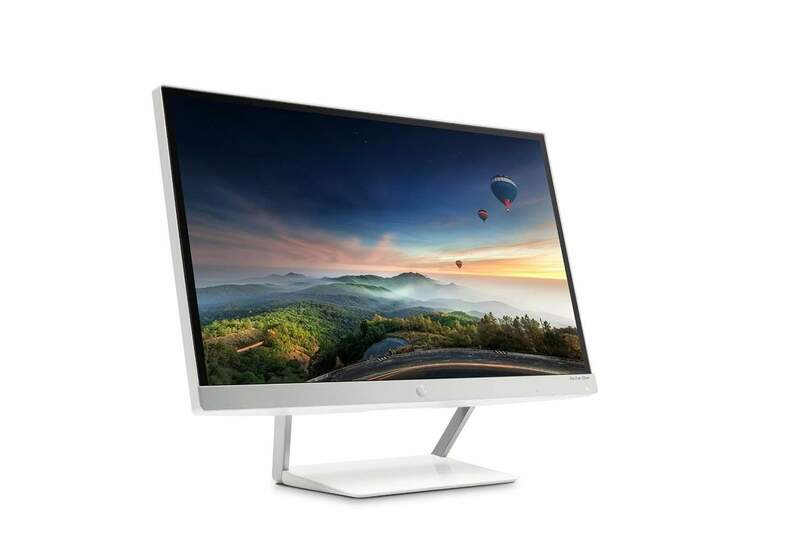 The HP 22er 21.5-inch LED backlit monitor is one of the thinnest monitors in the market. It’s made of an innovative high-durability but lightweight metal. Despite being impossibly thin, it’s eye-catching and sleek design will surely add a touch of sophistication to any workstation. Its bezel-less display also offers a one-of-a-kind viewing experience. Expect brilliant and stunning native resolution visuals being displayed edge-to-edge in 1920 x 1080 at 60 Hz and in full HD. Its flexibility and slim features make it perfect for a variety of display setups. You will only need to exceed a little effort to carry it since it is lightweight. The thinness of its profile is perfect for a minimalist-themed home or workplace. The buttons on the HP 22er 1080p monitor feel solid and are easy to press. Its dimensions of 19.60 in x 7.23 in x 15.14 inches will render you with a vivid entertainment experience. 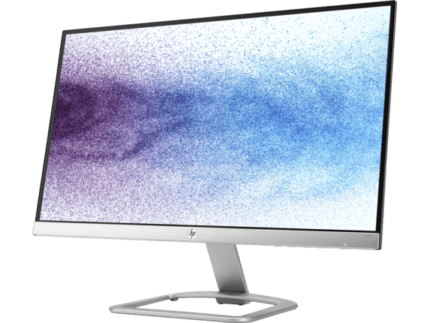 The HP 22er IPS monitor also has an easy port access that conveniently connects to any screen. It supports 1HDMI (with HDCP) and1 VGA input connectors which enable you to connect analog and digital devices to it. It is known for its IPS panel technology for maximized and flexible viewing area from any angle. The LED Backlighting provides great screen performance and its 6.3 mm UltraSlim display also saves you space. This one is also economical since it is Energy Star certified. There’s nothing that you won’t love about the HP 22er 21.5-inch LED backlit monitor. Its simplicity and stylishness look is to die for. Its slim feature is like a breath of fresh air from those old clunky monitors we used to have. The bezel-less screen is just stunning as well as the quality of its LCD. Only minor assembling is required so tools are unnecessary. Its wide viewing angle really makes it stand out among the rest. The panoramic view and vibrant detail is definitely an eye-candy. The crisp images and brilliant visuals are quite stunning and a pretty unforgettable sight. Even if you stare at the screen for a long time, it will still be easy on the eyes. With its decent specifications, it is definitely well-priced compared to other monitors in the market. There’s nothing quite like it. With its IPS panel and color reproduction capabilities, it’s perfect for daily use. It’s a fair price for the kind of viewing experience it will provide. 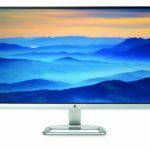 There are several factors to consider before purchasing a desktop monitor such as the size and resolution, types of panels, refresh rates, anti-glare coats, tilting options, types of connectors and the list goes on. It is best that you do some research first on prospects to avoid making the wrong decisions. Searching for product reviews online would also help you save time and energy by narrowing down your options. The HP 22er 21.5-inch LED Backlit Monitor is the ideal desktop computer for casual viewing of videos and occasional gaming. Its HP LED HD monitor, ultra-fast response time and flexible tilt feature would surely give you the ultimate entertainment experience of your life.